SS: So, how on earth did the signing to Matador come about? Thomas Fisher (guitar, bass, keyboard): It felt really natural to us, it’s hard to explain, we felt we were just left to our own devices and we just kept playing shows and writing songs. Daniel Copeman (guitar, electronics): It wasn’t too much of a big deal made about it, it was more of the fact we made it clear that we liked them and hope that they reciprocated, and we carried doing what we were doing. Thomas: Matador is a label we’ve really respected and been fans of their roster before. SS: On your upcoming EP, the last two songs take a different turn to Marching Song EP, will this be the direction we can expect from the new record? Daniel: Sound wise it’s something we’ve always wanted to do, but it depends on whether the format of what we were really doing was viable. On the EP there is an abstract…more atmospheric idea of trying to explore soundscapes rather than songs in that traditional structure. Daniel: To make sure it’s got those kinds of dynamics, it actually moves around rather than being one flat level of sound, which it should be ideally. Thomas: With ‘Souvenirs’, and ‘Done Because We Are Too Menny’ it’s not necessarily a direction we are moving in, those elements of those songs interest us, but not where we are heading at this stage. SS: Your video for ‘Marching Song’ looks a little bit like a victim line up for an abuse campaign, can you tell us a little bit about the song and where the video came from? Thomas: We didn’t want to go into too much detail in the lyrics or the personal side of those had for any of us, or Rachel who wrote those lyrics, but we feel like the video and the idea, I suppose in a kind really general sense of overcoming adversity, and the strength in the face of adversity. We feel the song means to us what we are trying to come across visually, without creating something that is particularly obvious. Daniel: The idea of the video ties in with my appreciation of the lyrics at the time anyway - it’s never going to mean the same thing to you as it did for the person who wrote it; the point is of good lyrics that it should be more about the emotion it evokes rather than the actual “this is how it happened and this is how is made me feel” type of thing. The video is meant to be more about the physical way of showing the manifestations of the song. SS: You’re onstage set up in is pretty theatrical with taxidermy and a kind of plastic nature. Have you had any other items you wanted to bring on stage, but had to stop from bringing on stage to make it look a bit too much? Rachel Davies (vocals, percussion): It relies on the practicalities of [public] transport! Daniel: It’s a horrible and rational sense - we have a lot of ideas about we want to do in that respect - but that’s what we physically can and afford to do. SS: What if you didn’t have any limits? Thomas: I don’t we should indulge ourselves; I feel it would be too disappointed to return to reality and carry everything on our backs. The owl did get lost or stolen and we’ve only just replaced that. SS: Oh No! Did they steal it under while you were performing? Rachel: If that happened I would have run across the stage! 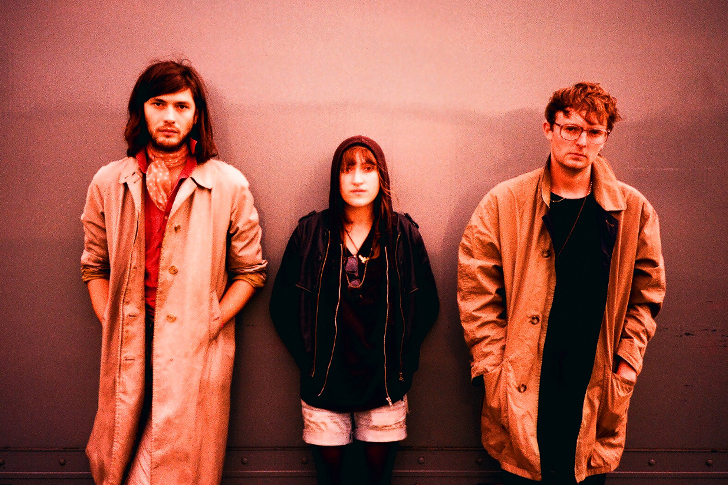 SS: Esben and The Witch is a brilliant name originating from a fairytale [read more on their MySpace], but what others fascinate you? Rachel: It’s also about the sinister nature of these fairytales. Daniel: I just realized the malignance of this day and age, and a lot of the time they are overlooked, how people are like “Yeah I really like this fairytale” and when you actually listen to the story, it’s actually pretty harrowing. Thomas: There’s so much stuff that inspires us to kind of write and create stuff we haven’t felt any particular need to find other fairytales, there’s been no shortage of ideas what they can bring and write about.